BRUSSELS – Members of the European Parliament have devoted a part of today’s plenary session to discussing resolutions on Western Balkan countries drafted by Foreign Affairs Committee (AFET). 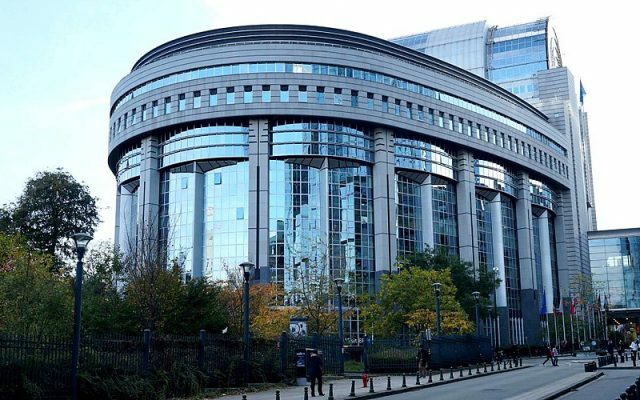 The resolutions represent European Parliament’s take on European Commission’s reports on the six EU candidates and potential candidates. They are non-binding, but politically significant documents, and will be voted on tomorrow. Each draft resolution was firstly presented by the respective countries rapporteur, and then commented on by European Commissioner for Enlargement Negotiations Johannes Hahn and state secretary in the Ministry of Interior of Austria Karoline Edtstadler as a representative of Council of the European Union. The only Western Balkan country that has not been commented on by the EP is Bosnia and Herzegovina, because of the still ongoing process of government formation in that country. The Rapporteur for the country, David McAllister stressed that the pace of the accession process depends from the reforms in the areas covered by the Chapters 23 and 24, and that Serbia still has to work hard in order to ensure judicial independence and successfully fight corruption and organised crime. 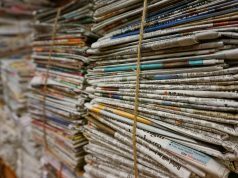 The freedom of the media needs to be unhindered, reminded McAllister, and there are shortcomings in this area that should be addressed. “Serbia has made good progress, its perspective of joining the EU is tangible; it is even more important now when we see the resurfacing of tensions between Serbia and Kosovo”, assessed Comissioner Hahn. He added that there is a mixed picture when it comes to the rule of law, with delays in many important areas and concrete results that are still hard to demonstrate. Following Commissioner Hahn’s remarks, Cristian Dan Preda took the floor and addressed the Parliament as a representative of European People’s Party. “We would very much like for Serbia to become an EU member by 2025, although there is much to be done, especially when it comes to Kosovo”, he said. Other MEPs were much more critical towards the country. Tanja Fajon of the Socialists and Democrats group condemned the treatment of critical media and members of the opposition. “There is a great split between EU documents and situation in Serbia”, stated Fajon. She was joined by Igor Šoltes from the Greens, who recognized Serbia’s progress in economic growth and macroeconomic stability, but pointed at some issues he found particularly problematic. “There is a lot of room from improvement in the areas of freedom of speech and freedom of media, there needs to be more cooperation with NGOs”, he said. This time, Šoltes addressed the Parliament as a Rapporteur for Kosovo. He identified vast corruption and organised crime, as well as lack of political consensus, as the most important problems of the country. “Bilateral issues cannot be solved by excessive measures”, said Šoltes, referring to the 100% tariffs on Serbian and Bosnian goods imposed by Kosovar authorities last week. Nevertheless, Šoltes reminded that Kosovo has fulfilled all the required conditions for visa liberalisation and called the EU to live up to its commitment. Ms Edtstadler stressed that the Commission’s proposal is under examination of the Council of the EU. “Strong political will necessary for moving the country forward”, she said, adding that current tensions should be dealt with calm and de-escalation in the interest of the whole region. Commissioner Hahn agreed that the imposition of tariffs will not solve any problems. “The recent decisions by the Government are very concerning and doing a real harm to Kosovo and regional cooperation, violation of CEFTA and are contrary to the spirit of the Stabilisation and Association Agreement”, he said. The pace of reforms is slow, but EU will continue to support Kosovo, said Hahn. MEP Eduard Kukan asserted that the past few turbulent months have been a waste of valuable time for the normalisation of relations. 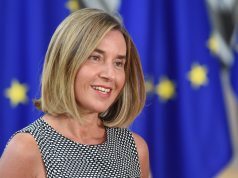 “We need to see genuine commitment”, he said, and also appealed to the Council to move forward in granting visa liberalisation to Kosovo. “Macedonia has reached a phase in which they can make their way to EU and NATO, after years and uncertainty”, emphasised Ivo Vajgl, Rapporteur for the country. He highlighted solving of tensions within the country and normalisation of relations with the neigbours as the biggest successes, and expressed his hope that the negotiations will start next June. He added that Macedonian citizens have sacrificed a lot, with even opposition members deciding to support the constitutional amendments. This makes for a one of a kind opportunity, that should not be missed. “I regret the fact that Macedonia did not open negotiations this summer, transformation into North Macedonia is the biggest event in the Balkans this year”, stated Cristian Dan Preda. His S&D colleague Victor Boștinaru joined him in congratulating the country. “Macedonia is considered as the country that has done the most in aligning its legislative with the acquis”, he stressed. He expressed his worry over Hungary’s decision to grant an asylum to former Prime Minister Gruevski, assessing that it sets a dangerous precedent. “There was no ground for the asylum”, he emphasised. MEP László Tőkés in turn accused the Socialists and the Greens of launching an ideological attack on Hungary, underlining his country’s support to EU’s enlargement on the Western Balkans. Edtstadler reminded that there are still a lot of reforms ahead. “Macedonia needs to intensify the judicial reform strategy, and deepen the reform momentum; independent institutions need to have financial autonomy and enough staff”, she stressed. Rapporteur Knut Fleckenstein emhasised that the judicial reforms have went beyond what Commission had demanded at this point. He called on Albania to make the most of Council’s decision to open negotiations next summer. “Electoral reform needs to be implemented according to OSCE recommendations before local elections in 2019. We need to encourage Albania to maintain on the road they have embarked on”, he concluded. Commissioner Hahn also commented on the subject, pointing at the need for reform of party financing system, as well as improving the professionalism of independent electoral bodies. MEP Eugen Freund was particularly supportive. “It is staggering how far the country has progressed in the past years. In the 1990s, it was a country people were fleeing from”, he said. However, the incident of police shooting of ethnic Greek citizen in October has incited harsh criticism from Greek MEPs. Eleni Theocharous even accused Albania of ethnic cleansing, which was asserted as going “far too far” by Fleckenstein. Edtstadler reiterated the need for the country to establish a stable track record in fight against trafficking of drugs and welcomed its participation in international police cooperation. On the other hand, Commissioner Hahn assessed the latest moves of Prime Minister Rama in a negative light. “Everybody across the region should refrain from unhelpful statements inflammatory that can be interpreted as taking sides (in the Kosovo-Serbia dispute)”, underlined Hahn. Retiring Rapporteur for Montenegro, Charles Tannock, used his final opportunity to highlight Montenegro’s generally strong Euro-Atlantic consensus, especially evident by its 2017 NATO accession. This makes its alignment with EU’s Common Foreign and Security Policy fairly strong. 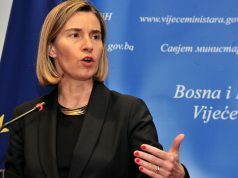 “For nine years of my tenure, Montenegro has been a good news story from the Western Balkans. 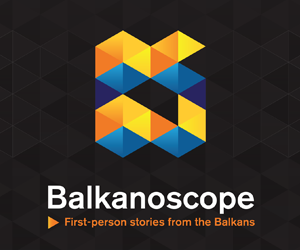 It needs to become a success story for the Western Balkans EU accession”, emphasised Tannock. He nevertheless pointed at some of the setbacks still faced by the country – first and foremost in the area of media freedom. EC Reports have not registered progress in the past three years, and the attack against journalist Olivera Lečić is still unresolved, he reminded. Edtstadler agreed that Montenegro is a frontrunner country, with compledet institutional framework and legal system largely in place. According to her, further focus needs to be put on chapters 23 and 24. ALDE MEP Jozo Radoš discussed the state of media freedoms in greater depth. In addition to intimidation of journalists, there have also been attacks on the Council of Electronic media. Local media are in bad financial situation and the ownership structure is not clear, he concluded. Commissioner Hahn reflected on the path that Montenegro has mostly good relations with all of its neighbours and remarked that, in the context of Western Balkans, that is no mean feat. “Montenegro has made a steady progress on its EU path”, Hahn concluded.